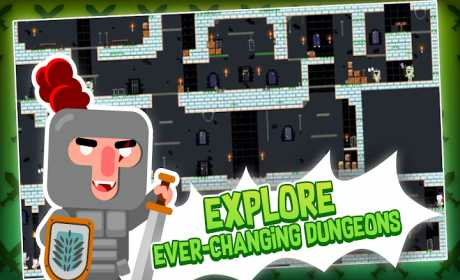 Become a Legend: Dungeon Quest is an adventure of knights. Forge your own legacy and customize your hero. Explore all the dungeons looking for succulent treasures, ¡but be careful! In the darkness you will find countless enemies: zombies, berserkers, skeletons with spear or arc… and many more! The undead abound in the dungeons. You will have to use your rogue class to arrive where the final boss lies. It’s time to forge your legacy. The dungeons are procedurally generated, so there aren’t two games alike! It’s a plataformer game, therefore you will have to be carefull when jumping over the platforms. 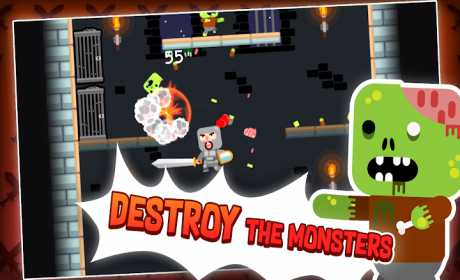 ★ Defeat all enemies of the kingdom and beat all final bosses. Your legacy depends on you! ★ Three daily missions to forge your legacy! ★ Procedurally generated dungeons. Fast paced side-scroller platformer! ★ Play offline without wifi! You won’t need wifi or Internet access! 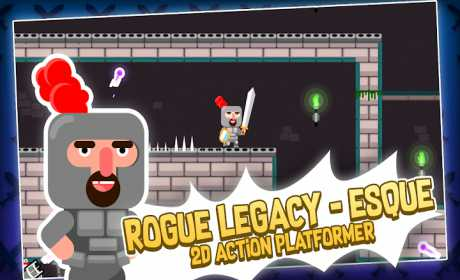 Download now Become a Legend: Dungeon Quest and add it to your roguelike games collection!